Okay, false hope on my Samsung 27". It only does 480i and 240p on progressive. Looks amazing though, despite the warped image. stunning through the SCART-to-component converter. The 32" Panasonic DOES though, and as I said, I played Wind Waker 480p. I had a PS3 hooked up to it with a 480p signal as well (also does 1080i, just as it says, but could not get 720p to work, which I found odd). Jagosaurus wrote: @nightrnr, does the RGB to component converter upscale to 480i or is it still 240 over component? Curious as my LCD doesn't accept 240 over component & that might be a good solution for my older consoles (w/o spending $400+ on XRGB). Another win for CRTs there. Sadly no, but I've heard you can combine it with a simple line doubler to make it work with 480p (which should keep the control lag at a minimum). But it's still being made and it just outputs to HDMI. I just wanted the option. CRTGAMER wrote: Never seen an 480p EDTV CRT, curious myself. If one could be found, the PS2 when set to 480p max resolution of the EDTV CRT can work with the Guncon 2 unique 100hz mode. That, is an interesting question. I'm afraid that it will have to wait for now, but I AM intent on finding out in the near future. I think I did play a Guncon 2 game on it once, but I'm pretty sure it was through S-video. Do you know what Guncon 2 games officially supported 480p? That, is an interesting question. I'm afraid that it will have to wait for now, but I AM intent on finding out in the near future. I think I did play a Guncon 2 game on it once, but I'm pretty sure it was through S-video. The Guncon 2 can work with SVideo (with composite line adapter) or Component with Guncon 2 yellow hooked thru the green cable. Must be in 480i mode for SD CRT. EDTV CRT yet to be found! I use the Sony Guncon adapter to split composite to a portable folding LCD (to monitor HDAdvance installs) and component 480p to HD CRT. 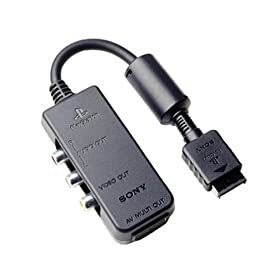 No need for switchbox or unplugging cables, just stick to default 480i or enable 480p Triangle X at game start. When on the Calibration screen, first fire at screen to enable the gun. Point the Guncon 2 away from the screen. Press Trigger and the SELECT button. It's on the Left hand side of the gun, nearest the muzzle. This will put the calibration into Progressive scan mode and a little message will appear on screen to confirm this. There is also a 2 point adjustment for Guncon 2 only. Aim away from screen Press trigger and C button at the bottom of the gun. It's then possible to calibrate as normal. The Guncon 2 supports regular Non-HD CRT TVs. It also has a 480p mode which requires a CRT Enhanced (EDTV) Definition TV. Here is the Wiki list which shows quite a few PS2 480p games with a few going all the way up to 1080i. Comparatively there are not that many lightgun games, but I did spot Vampire Nights in the listing. Looks to be the only PS2 lightgun game that supports 480p. There must be a reason why the Guncon 2 has the 100hz mode. The Sony looks like it has a crisper display, but yeah, the colors are a bit washed out. Probably needs some adjustment. Well here's proof EDTV (non HD) 4:3 TVs did come out in the States, but it's one of the early LCDs not a CRT. Description mentions enhanced definition (ED Ready) and 480p res.
. It's capable of displaying not only television signals in 480p (480-pixel progressive, with optional tuner), but also from video sources such as progressive-scan DVD players. This offers a far better resolution and picture than playing a DVD through an interlaced video screen from a standard CRT set. The 6615LF4 has a 640 x 480-pixel resolution, 4:3 standard aspect ratio, 170-degree horizontal viewing angle, 16 ms (millisecond) response rate, 500 cd/m2 (candela per square meter) brightness rating, and a 500:1 contrast ratio. With some further digging I found other similar, early 4:3 480p EDTV LCD sets (non HD, non CRT), from Sharp, Samsung, & Sanyo. They do look like CRTs from the front in style, until you see pics from other angles. Perhaps that's where the lore began. I found similar threads asking this question on multiple forums with no proof of non HD 480p EDTV CRT sets existing. I'd live to be proven wrong here. Can we call this one a myth? Seems if you want 480p on a CRT, you need a HD CRT set. Could have sworn I saw a wide screen CRT TV in a store eons agao with component. I could not tell ya what brand. Might have been Sony..hell could have been ProScan..a brand no one remembers as it was some offshoot of RCA I think. 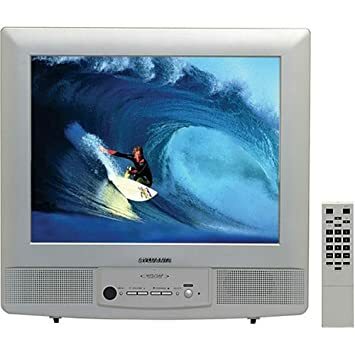 Unrelated note, I love the look of late 90s to early 2000's CRTs from RCA's very curvy looking TV's to the silver flatscreen look with a dark grey back end of the TV. I don't care they were heavy I just love the look of them more than any modern TV. Samsung made several models of widescreen CRTs. They were uncommon, but not unheard of. I remember seeing a couple models on display at Best Buy. Yeah, there are several widescreen CRTs with component. They are all the monster 1080i HD tube sets that I've seen. Those should all support 480p. Great TVs, but I'm not interested in those for the sake of this discussion. They also have 4:3 HD CRTs to add to the confusion. I'm specifically hunting 4:3 CRT EDTVs (not HD) which reportedly exist, but I've never seen one. Component does not equal 480p (progressive). All 4:3 non HD CRTs with component inputs I've tried have been 480i (interlaced) only over component. When you bump the output to progressive, it will not accept the signal. 480i over component is still a big leap over s video but it's not 480p (aka Enhanced Definition). It seems the jump to 480 progressive also bumps you to HD in the CRT world. It is a combo SD/ED/HDTV. That's why the EDTV LCD I linked above is interesting. It supports 480p over component, but not HD resolutions. I was doubting that tier even existed. Seems it does, but only in early LCDs? Perhaps the EDTV CRTs were studio monitors only like PVMs? So you're looking for something rather distinct, then. EDTV (not HDTV) that accepts progressive scan (480p, specifically) over component. That's too specific for my knowledge base. marurun wrote: So you're looking for something rather distinct, then. EDTV (not HDTV) that accepts progressive scan (480p, specifically) over component. That's too specific for my knowledge base. Yeah. It's more of a curiosity. I'm not going to run out and buy one unless I had a model # & ran across it cheap at a thrift. I've heard them mentioned in this hobby for about a decade now, but I've never seen one. I think it might be a common misconception of people thinking of the early EDTV LCD sets linked above & the HD CRTs which also accept 480p over component... or simply equating component to 480p/EDTV which isn't necessarily true. One of those cases I'd like to be wrong though! I've owned a few of the 480i CRTs & it's a solid picture for games & DVDs. I'd just like the option for 480p on a CRT (not a giant HD set) for oXbox & PS2. It's also worth noting that some of these CRT's require certain input cards to handle 480p YPbPr, RGB, etc. Unfortunately these cards can be outrageously expensive or hard to find. 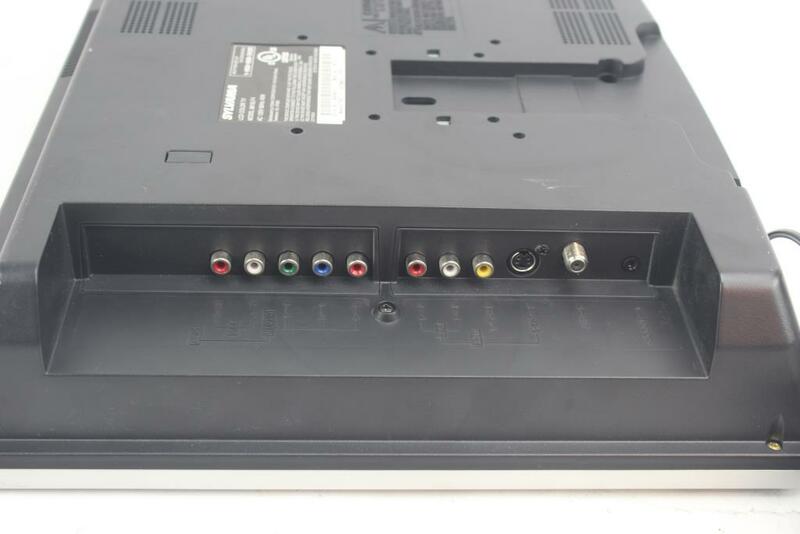 If you are considering a purchase make sure these cards are included or the CRT already has the desired connections by default such as YPbPr on the PVM 20L5-14L5. If any of you know of a model I'm missing let me know in comments so I can update the post. 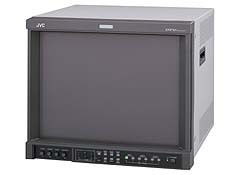 I can personally vouch for the JVC models. I own a V1710CG and it has an amazing image quality.